I've always heard that from grades K through 3, children learn to read and then from grades 4 on they read to learn. It's important to make reading fun while kids are learning to read. At Reading Eggs, learning to read is enjoyable as well as very rewarding, by combining books with online reading games and activities.. Every lesson ends with a new book and a new critter to add to your growing collection. The Reading Eggs program has been developed by a highly experienced team of teachers, educational writers, animators and web developers. 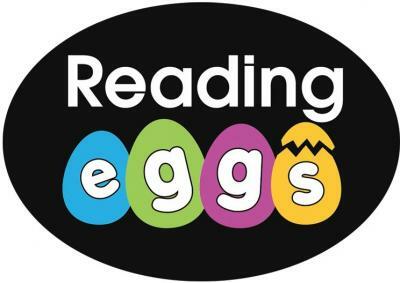 Reading Eggs focuses on a core reading curriculum of skills and strategies essential for sustained reading success and is suitable for children aged 3 through 12. Since launching in the United States and Canada in 2011, Reading Eggs has signed on more than 500,000 subscribers and presented more than 15 million lessons in North America. This new world of interactive reading and writing activities will help to set kids up with positive attitudes about reading and learning for life. Receive a Free Two-Week Trial Offer. No credit card required. Visit www.readingeggs.com for more details. Disclaimer: I received a free subscription for sharing this information.